Florida is synonymous with beautiful beaches, world-class attractions and luxurious lodging - making it a world-renowned vacation destination for travelers of all kinds. It’s such common knowledge that the phrase “we live where you vacation” is a motto that’s made it’s way into many Florida residents’ repertoire. Knowing this, when is the last time you took advantage of all of the natural resources and incredible hospitality located right in your state? The ultimate oasis for a little rest and relaxation exists right in your own backyard. At TradeWinds Island Resorts, Floridians can expect more of everything that makes St. Pete Beach an award-winning destination without the price tag of a long-distance journey. It’s easier than ever to enjoy a tropical trip packed with plenty of paradise just a short drive away from home. 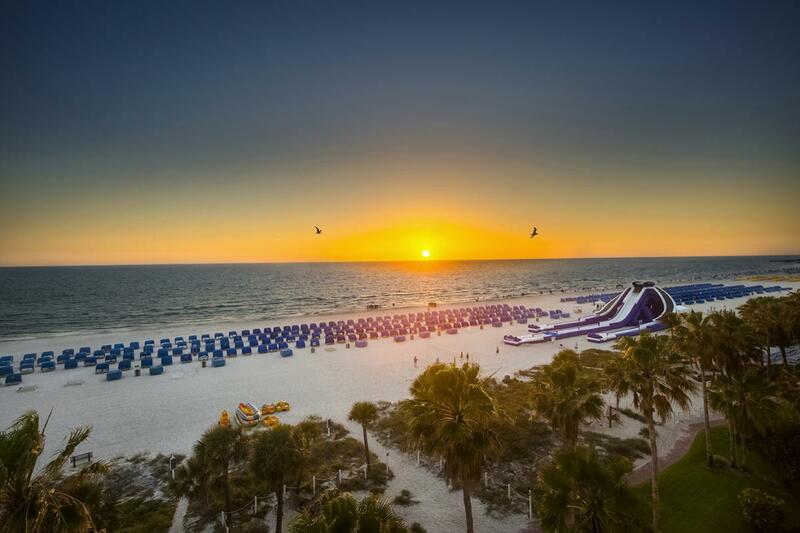 St. Pete Beach consistently makes top travel lists and it’s no wonder why! Situated right on a sparkling shore complete with warm Gulf waters, stretches of sugar-soft sand wider than a football field and stunning sunsets year-round, there are few places in the world (let alone the state!) that boast a more beautiful setting. With prime front row seats to what could be called the greatest show on the Gulf, it should come as no surprise that St. Pete Beach is considered the Sunset Capital of Florida. The awards don’t stop there, however. This location is also home to the Guinness World Record for the most consecutive days of sunshine (768 to be exact), and was listed as one of Travel + Leisure’s Top Five U.S. Summer Trip Ideas this year. TradeWinds Island Resorts happens to sit right on 30 acres of this west coast wonder too, setting the scene for a dream vacation full of sun and smiles. Late summer through fall is the perfect time for Florida residents to stay in a state of play, too. St. Pete Beach begins to clear, leaving a personal playground for kids and adults alike. Hit the shoreline and dive into an aquatic adventure headfirst with water-fueled jetpacks, jet skis parasail rides and more. Kids can explore their imagination at TradeWinds drop-off camps ranging from Marine Bio and Wild Wild West to Princesses and Pirates. The ultimate relaxation is also within reach, hooded beach cabanas and hammocks line the well-manicured TradeWinds Island Grand and Guy Harvey Outpost properties. The best way to just let go? Watch the sun sink beneath the horizon line with your toes in the sand and a frozen drink in hand from one of their beach bars featuring fire tables encircled by large, plush couches. Starting mid-August, Florida residents coast into even more savings at TradeWinds Island Resorts. Enjoy delicious dining experiences at fan favorite restaurants like RumFish Grill® and Palm Court Grill and go get out there on recreational rentals like paddleboards, all thanks to discounts included in a special Florida Resident Offer coupon pack worth more than $500. Florida residents get the best savings on their stay too, with 13% off already discounted room rates. There’s no better time to grab your gang, get in the car and cruise west towards paradise.